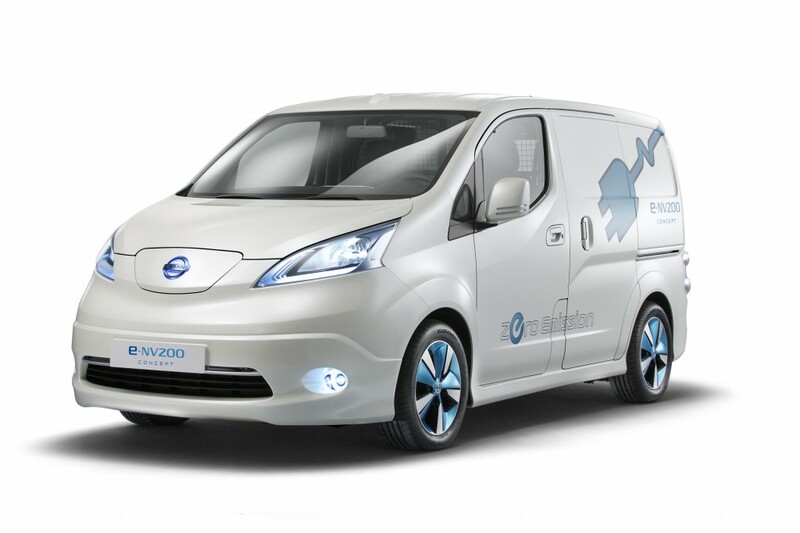 With the Nissan e-NV200 electric van in its final stages of development, the company said last week it plans to launch the vehicle early next year. It will become Nissan’s second second all-electric vehicle, after the Leaf hatchback that went on sale in December 2010. The e-NV200, an electric version of the NV200 compact van, was first unveiled as a concept at the 2012 Detroit auto show. Nissan has been testing prototypes with commercial fleets since then. The e-NV200 is basically an NV200 with the running gear of a Leaf. It has the Leaf’s 80-kilowatt (110 horsepower) electric motor and 24 kilowatt-hour lithium-ion battery pack, but considerably more cargo space. Since the e-NV200 is heavier than the Leaf, it will probably have a shorter range.